Sensitive files tied to a US military project were leaked by a multi-billion dollar firm once described as the world’s most profitable spy operation, Gizmodo has confirmed. A cache of more than 60,000 files was discovered last week on a publicly accessible Amazon server, including passwords to a US government system containing sensitive information, and the security credentials of a lead senior engineer at Booz Allen Hamilton, one of the nation’s top intelligence and defense contractors. What’s more, the roughly 28GB of data contained at least a half dozen unencrypted passwords belonging to government contractors with Top Secret Facility Clearance. The exposed credentials could potentially grant their holders further access to repositories housing similarly sensitive government data. 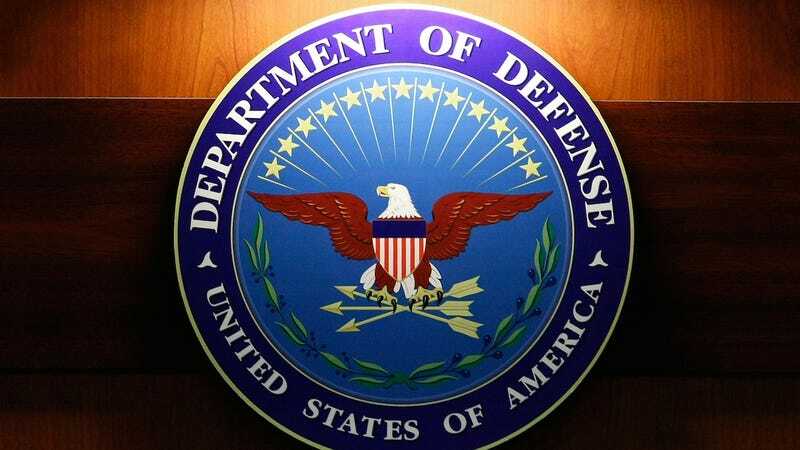 Countless references are made in the leaked files to the US National Geospatial-Intelligence Agency (NGA), which in March awarded Booz Allen an $86 million defense contract. Often referred to as the Pentagon’s “mapmakers,” the combat support agency works alongside the Central Intelligence Agency, the National Reconnaissance Office, and the Defense Intelligence Agency to collect and analyze geospatial data gathered by spy satellites and aerial drones. The NGA on Tuesday confirmed the leak to Gizmodo while stressing that no classified information had been disclosed. “NGA takes the potential disclosure of sensitive but unclassified information seriously and immediately revoked the affected credentials,” an agency spokesperson said. The Amazon server from which the data was leaked was “not directly connected to classified networks,” the spokesperson noted. UpGuard cyber risk analyst Chris Vickery discovered the Booz Allen server last week while at his Santa Rosa home running a scan for publicly accessible s3 buckets (what Amazon calls its cloud storage devices). At first there was no reason to suspect it contained sensitive military data. Typically, US government servers hosted by Amazon are segregated into what’s called the GovCloud—a “gated community” protected by advanced cryptography and physical security. Instead, the Booz Allen bucket was found in region “US-East-1,” chiefly comprised of public and commercial data. Yet the files bore some hallmarks of a government project. First, Vickery spotted the public and private SSH keys of a Booz Allen employee, identified by his LinkedIn page as a lead senior engineer in Virginia—also home to the NGA’s Fort Belvoir campus. “Exposing a private key belonging to a Booz Allen IT engineer is potentially catastrophic for malicious intrusion possibilities,”he said. SSH keys employ what’s called public-key cryptography and challenge-response authentication. Essentially, Booz Allen stores sensitive data in the cloud, and before the engineer can access it, his private key must pair successfully with a public key on Booz Allen’s server. This protocol only really works, however, so long as the employee’s private key remains a secret. Zaid was referring to Edward Snowden, the former NSA contractor who worked for Booz Allen when he fled to Hong Kong in 2013 with a trove of classified material. Another of the firm’s employees, Harold Martin III, was arrested last year and charged under the Espionage Act after federal agents discovered over 50 terabytes of classified data in his residence, the trunk of his car and in an unlocked outdoor shed. In addition to keys, the Booz Allen server contained master credentials to a datacenter operating system—and others used to access the GEOAxIS authentication portal, a protected Pentagon system that usually requires an ID card and special computer to use. Yet another file contained the login credentials of a separate Amazon bucket, the contents of which remain a mystery; there’s no way to verify the contents legally since the bucket is secured by a password, and thus not open to the public. Moreover, a categorization script found in one of the Booz Allen files indicates the system under construction is at least designed to handle classified information. And while Vickery didn’t realize its significance at the time, the leaked files also appear connected to a third server he found open last month. The mission of UpGuard’s Cyber Risk Team is to locate and secure leaked sensitive records, so Vickery’s first email on Wednesday was to Joe Mahaffee, Booz Allen’s chief information security officer. But after receiving no immediate response, he went directly the agency. “I emailed the NGA at 10:33am on Thursday. Public access to the leak was cut off nine minutes later,” he said. On Friday, UpGuard was contacted by a government agency and asked to preserve all of its records related to Vickery’s find. The company said it is abiding by a request not to reveal the agency’s name at this time. Both our client and Booz Allen have confirmed that no classified data was available on the impacted unclassified cloud environments. And we have confirmed that none of those usernames and passwords could have been used to access classified information. This appears to be a case in which an employee unintentionally left a key within an unclassified cloud environment where multiple users can develop software in an open environment. As soon as we learned of this mistake, we took action to secure the areas and alerted our client and began an investigation. Again, the important point here is that the affected cloud areas were not designed to contain any classified information. Our client has said they’ve found no evidence that classified data was involved, and so far our forensics have indicated the same. While any incident of this nature is unacceptable and we hope to learn from it, so far we see this event as having limited impact.